Broadway Stages Christmas Toy Drive For Brooklyn Families! Broadway Stages hosted our largest Christmas event of the season at our Annual Toy Drive this Christmas weekend. The event, open to all of the public, encouraged local Brooklyn families to visit our Kingsland Ave studios spaces to celebrate a day of festivities, fun, and laughter. Set aside for the event was a large open space on the 4th floor of our Kingsland studio ready with catered food, beverages, and photo booths. Broadway Stages prepared tray full of chicken tenders, pasta, risotto, potato fries, fresh vegetables, greens, ham, mozzarella sticks, and much more! We were sure to have cookies and tasty pastries beautifully lined up for children and families to grab as soon as they were ready for dessert. 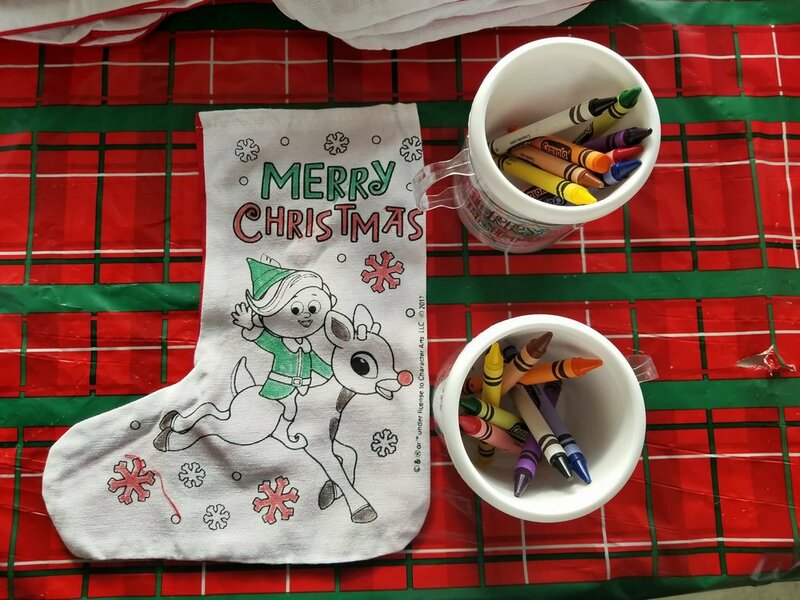 Already set up at each seat and table were Christmas themed arts and craft for children to create, color, and decorate with one another! 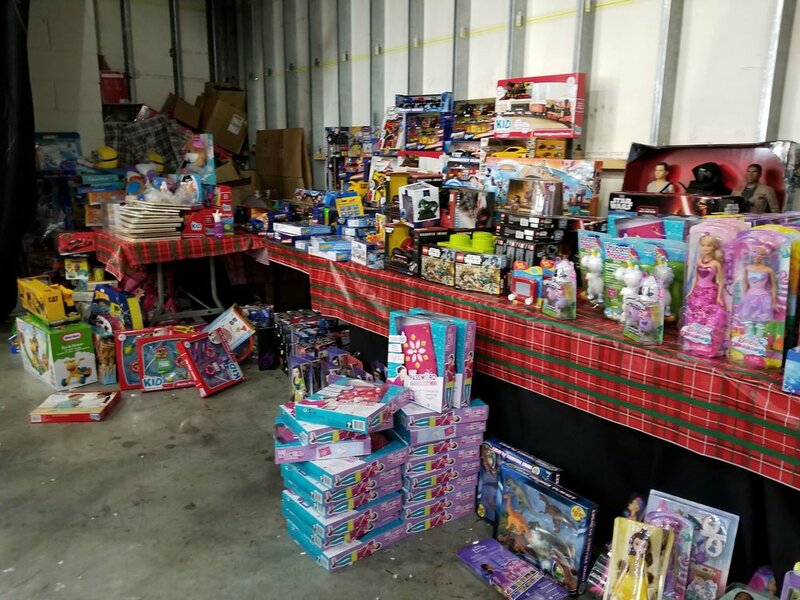 While setting up for the the Toy Drive, we were expecting over a hundred people to attend our event throughout the day and never would be have expected an even better and greater turnout from the community! Starting at 12pm and no later by 1pm were all the seats and tables all filled with even more families continuing to show up ready to join them! As more attendees arrived, Broadway Stages staff mobilized to bring chairs and tables more nearby studios to accommodate every family possible. Of course it wouldn't be Christmas without Santa Claus. At the peak of the afternoon, Santa Claus arrives with his reindeers and helpers and greets each child with warm welcomes and listen to grant their Christmas wish. Most of which were presents that would be soon granted a few minutes after! 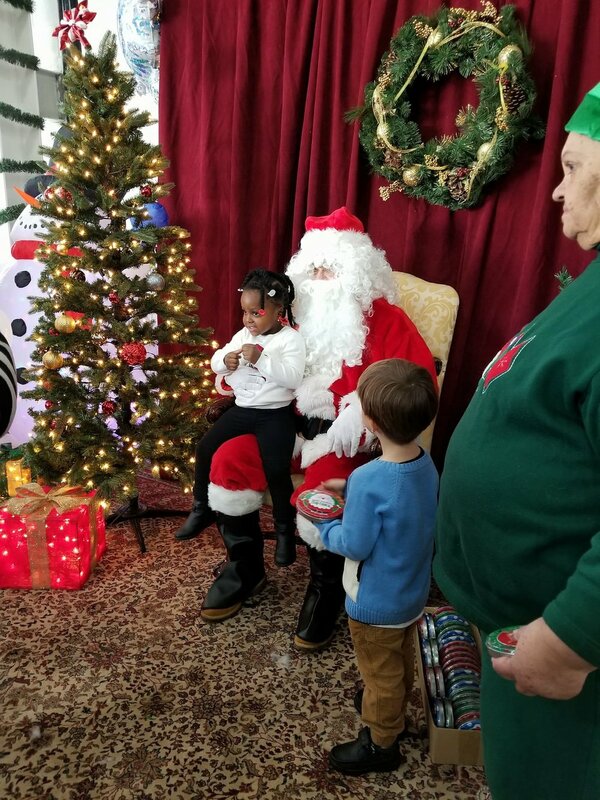 In total over 400 parents and children were served to our Toy Drive with most able to enjoy delicious food and fun activities while all families with children were able to participate in the Toy Drive. Of course Broadway Stages came prepared with over 500 toys ranging from game boards, sports equipment, cars, action figures and dolls, arts supplies, and many more! Each child was able to select their own present for Christmas with all of them leaving for happy faces and smilies! We want to thank the community for coming to our Christmas Toy Drive and wish you all Happy Holidays!